PORTLAND — Since the arrival of Giannis Antetokounmpo, every NBA enthusiast around the world has had their eyes on the Milwaukee Bucks and waiting for them to make notable noise in the Eastern Conference. With the rise of Khris Middleton expectations became even greater and left everyone wondering just when the Bucks will become a relevant championship contender. Now, under the helm of new head coach Mike Budenholzer, the Bucks are off to a 10-3 start and finally coming to fruition. Budenholzer wasted no time getting to work. Before the season started, he was thinking of ways to squeeze every possible skill he could from the entire Bucks’ roster. 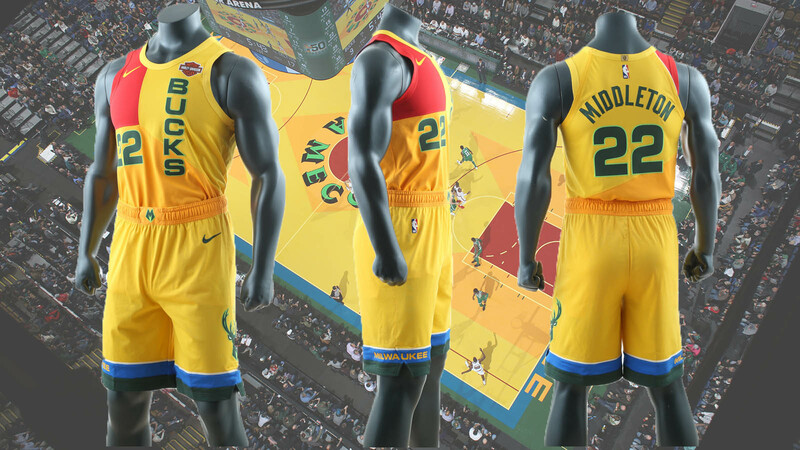 All players, newly added, veterans and rookies, but particularly seventh-year center John Henson and rookie guard Donte DiVincenzo. 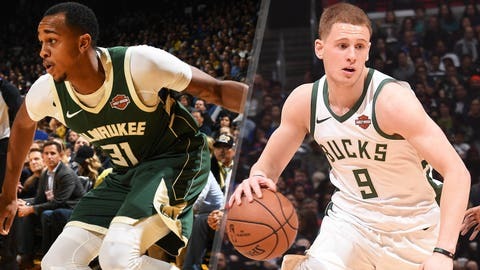 NBA veterans and rookies usually don’t have the same experiences, but that’s not the case for Henson and DiVincenzo. Thanks to Budenholzer’s instant tweak of extending Henson’s shooting range, they are both facing the NBA 3-point line for the first time. Before this year, Henson was 1-for-13 from behind the arc in his previous six seasons and the brunt of those attempts were a result of him having the ball in his hands with an expiring shot clock and having to put up a last-second heave. Now in Budenholzer’s system, the 6-foot-11 Henson is not only shooting 3s on a regular basis, but he’s also shooting them at a respectable 37.9 percent (11 of 29). DiVincenzo was the Bucks’ first round-pick, No. 17 overall, in this past summer’s NBA draft. Playing for the 2017-18 national champion Villanova Wildcats, he was named the Most Outstanding Player in the Final Four and he also was tabbed the Big East’s Sixth Man of the Year while shooting 40.1 percent from 3-point distance. Although DiVincenzo faced a few setbacks due to preseason injuries, he is now finding his stride and is back in his familiar sixth-man role, logging 19 minutes per a game off the bench for the Bucks. Along with the rest of the roster, Henson and DiVincenzo have bought into Budenholzer’s methods and strategies. They know that defense is the key to keep achieving at a high-level throughout this season. Off the court, the key to making the Bucks locker room happy is making sure they have two boxes of doughnuts (Voodoo Doughnut is a favorite, but it’s available in just a few cities) in the morning. Being a rookie, DiVincenzo is in charge of that errand.